A debt of gratitude to Mr Lee | Thoughts – HEY! No words can express the gratitude I felt at the funeral service for Singapore’s first Prime Minister today. In his death as it was in his life, he brought all of Singapore together – One Singapore. I think I speak for all Singaporeans when I say that it felt like I had lost a father. Mr Lee Kuan Yew was indeed a father – of our homeland, Singapore. 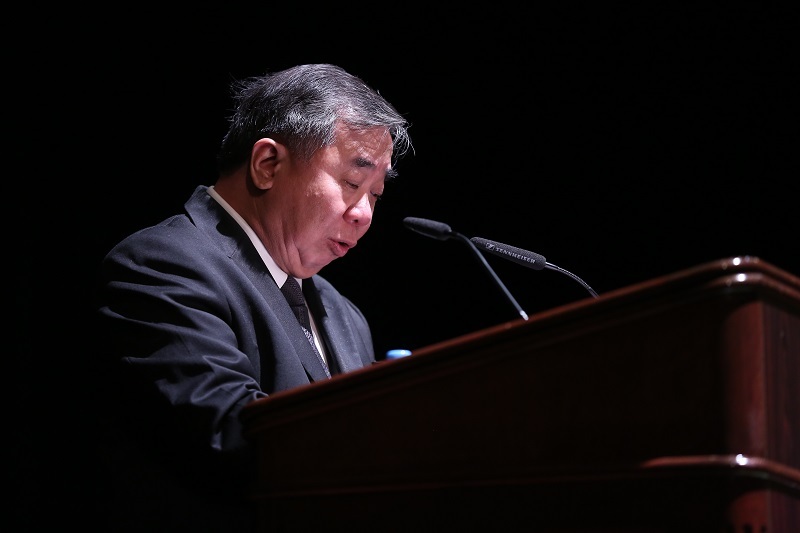 I felt the same depth of feeling as I did speaking at the memorial ceremony NTU held last week to honour his life and legacy where I said that Singapore will be forever synonymous with Mr Lee Kuan Yew. From the early days when he first won his electoral seat in Tanjong Pagar in 1955, to the day he went into intensive care in February 2015, Mr Lee had dedicated his whole life to building the Singapore that we know today. He made this city state for today. He also spent his whole lifetime reshaping and refining the nation for tomorrow. Truly, like many Singaporeans, my family, my children and my grandchildren owe a debt of gratitude to Mr Lee. Not just for what we have today, but also for what we can have tomorrow. The Singapore that was 50 years ago did not have land, did not have water, did not have industry, did not have decent education, nor good health, nor military security, nor racial and religious harmony. The secret societies collected their dues in Chinatown, Geylang, Jalan Besar, Lorong Tai Seng, Red Hill and many more places. Pirate taxis roamed the streets and illegal hawkers sold food that passed on diseases. That was the Singapore I was born into as a child. We were shamefully kicked out of one country and forced to become a country in a time and in a region that could not be worse. If some of us here were already born 50 years ago, you would not have ever imagined you could land up 50 years later in this Singapore, and this NTU. Beyond the exceptional security and stability he helped bring to the country, Mr Lee built a first-class education system from the Primary School to the University. For me personally, this has changed my life. I would never have dreamt that a little kampung boy could make it right here in little Singapore, to be a professor, much less Provost, of a world-class university. Mr Lee’s transformation of Singapore and her education system has not only made this possible for me, but my children and grandchild. For me and my family, as it has for so many of you Singaporeans sitting in this auditorium, it has been the great social equaliser that not just provides an escape from poverty, but has led the way to a peaceful, perhaps healthy, meaningful and maybe even wealthy life. This goes beyond those of us who have been born here – many of you have come from neighbouring countries to study and to work in Singapore, in NTU. You have also benefited from Mr Lee’s remarkable creation of this city state. 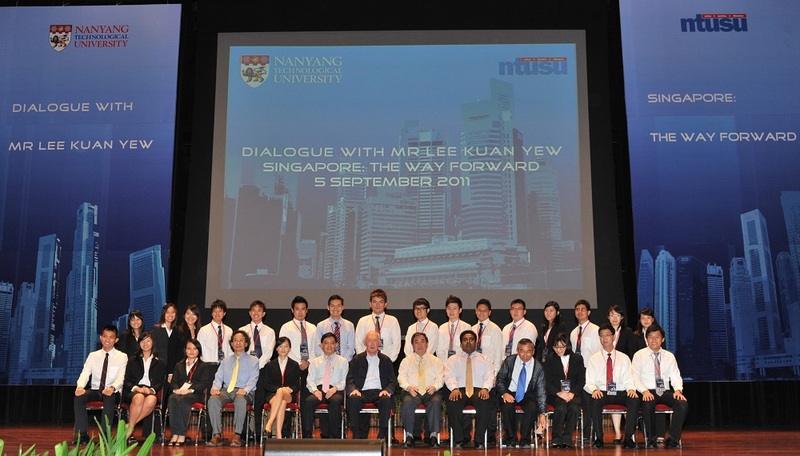 With Mr Lee at the 2011 Ministerial Forum. I used to live in a zinc-roofed kampung house in Kolam Ayer. My house has given way to the Pan Island Expressway at Kallang. In 1977, the whole kampung was relocated to several blocks of four- and five-room HDB flats, filled with modern amenities and still together as a community. Before that, we did not have proper toilets, water systems, paved roads, or cement floors, but we had many floods that would predictably come each year, and with each deluge came the stench of dead pigs and cows that had drowned. I have seen some of my neigbours whose attap houses were illegally built, torn down by the riot police, repeatedly, because they would rebuild once the police went. Today, almost every Singaporean owns good and modern flats and houses, always with a chance for upgrading. How many countries do you know can promise, never mind deliver that? Mr Lee Kuan Yew put forward his vision of Singapore as a garden city way back in 1968, and emphasised the need to integrate the environment with urban development and soften the effects of a concrete jungle. He had the great foresight about the need to be environmentally responsible, even before going green and sustainability became buzzwords and a popular thing to do. Today, we can see trees along every road and park in every estate. NTU has a vision to transform our campus into a botanic gardens, which will be a wonderful legacy. I must confess I have taken this exceptional country called Singapore for granted, and join in the national hobby of moaning and groaning now and again. But this moment of reflection has put things in perspective. Mr Lee has enabled me to complain about the small little things because he has in his lifetime built a Singapore that has removed the need to complain about most, if not all, the basic things in life, and then a little more. He has passed on, but his lifelong service and devotion to this nation will never be forgotten. It is up to us now to continue his legacy and make this little red dot the exceptional country that we have gotten used to and assume is just ordinary. It will be the best way to honour Mr Lee. So Mr Lee, thank you for all that you’ve done for Singapore, for my family, and for me. This entry was posted in Education, Professors, Tribute. Bookmark the permalink.